Natchitoches is naturally perfect for weddings. 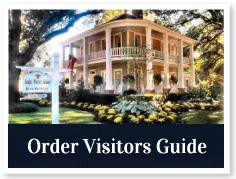 Beautiful historic settings, accommodations and friendly, professional vendors. See details regarding license requirements and officiants and then click on our list of venues for planning details. 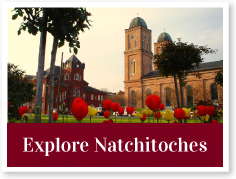 For a complete directory of area ministers and churches, call the Natchitoches Area CVB at (800) 259-1714. Licenses must be purchased at least 72 hours (3 days) in advance of the ceremony. Marriage Licenses expire 30 days from the date of issue. After the ceremony, the original Marriage License is given to the couple and both certificates of marriage are returned to the Clerk of Court’s Office so that the marriage will be recorded.